INTEGRATED TALENT ACQUISITION CONSULTANTS iTAC Ltd. is a leader in talent acquisition, not just a recruitment agency. In addition to aiding companies in filling existing positions we assist companies in filling future positions by working with organizations on their succession management plans. iTAC provides the solutions to assist talent in their quest to find a fulfilling career and to assist organizations in finding exceptional talent both now and in the future. iTAC ensures that a placement fits in to your company based on multiple levels of alignment, qualifications, experience and the current team environment. We know the wrong fit can impact your entire organization by impacting employee productivity and in some instances lost business opportunity. Training: Facilitation was outstanding, we very much liked their approach. 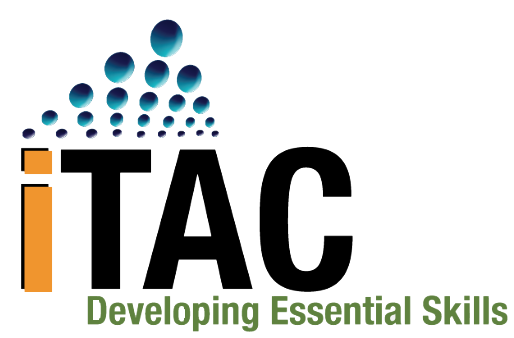 iTAC’s team’s ability to assess the need and design the training program accordingly is commendable. The teams wide range of industry experience helps in designing the right curriculum for managers, leads and staff. It has been great doing business with their team. International Market: Thank you for providing the necessary market intelligence in hiring talent in Western Canada and subsequent placement of two software engineers at one of our prestigious client’s site. I look forward to continue our collaboration as we expand our operations in Canada. Thank you. Recruiting: iTAC has been a valuable recruitment partner. Working with iTAC has provided fast and effective service which has enabled them to successfully place key members of our staff to help our business move forward. From assessment of the assignment to appointing the new team members, iTAC facilitated the process, proposing an excellent choice of qualified candidates, to enable us to make a well informed and capable choice. I would strongly recommend iTAC for all your recruiting needs. Thank you for your efforts in finding qualified prospects for our company. I have appreciated the compensated work you have done for us. Knowing the insurance industry and it’s challenges to find accredited and skilled talent, it has been a pleasure to with work your company. Thank you for simplifying my career search. You helped me find ease in what I was finding to be a complicated process. You listened and walked me through every step of the process. Finding the right fit and the experience for a position is a time consuming endeavour for any organization. Engaging iTAC in our talent search was the right decision. They really understood what we were looking for in a candidate. They did all the leg work and provided us with talent that added value to our existing team. iTAC helped us acquire talent from Insurance Brokers to Management Professionals. From assessment of the assignment to appointing the new talent, iTAC facilitated the process, and proposed the perfect candidate for our positions. iTAC’s service is excellent. Their understanding of the business needs and culture of the organization enables them to provide us with high calibre applicants. They are professional, honest and reliable and I would not hesitate in recommending them to anyone. I have worked with a few employment agencies over the years. Most are ordinary and businesslike. You’re the only one I know who is truly passionate about helping people. You’re so much more than just a business contact. You’re a valued friend who helped me more than once when I was down and out. I hope to send others your way in the near future. My new job/career is super. Very happy. Thanks for helping me get here! I really appreciate all your support, patience. You are great to work with and I know you were working hard to get me the best opportunity. All the best in 2016, may it be a fruitful year. We are pleased that we were able to reach an agreement with iTAC and we look forward to your expertise in providing external HR services to our company, as we continue to grow in North America. We appreciate the thoroughness of your proposal, and the timely manner in which you returned it to us with the requested information.